Circa 1915. 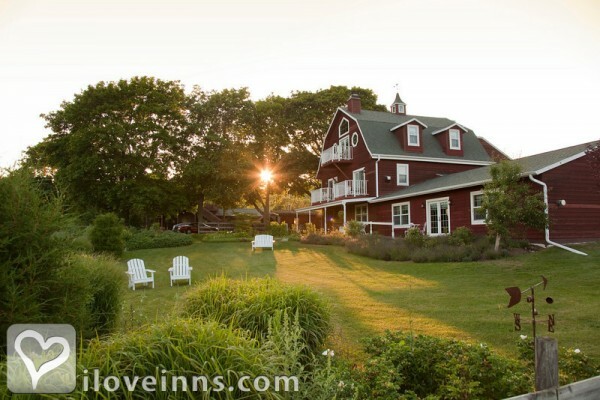 Although Chanticleer is secluded on 70 acres boasting woods and fields of wildflowers, the home is just one mile from Sturgeon Bay. 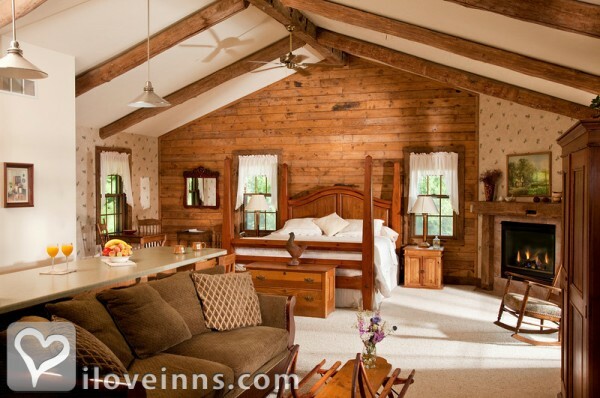 Each of the twelve guest rooms, which consist of four cabins and eight bed and breakfast suites, has a fireplace and double whirlpool tub. 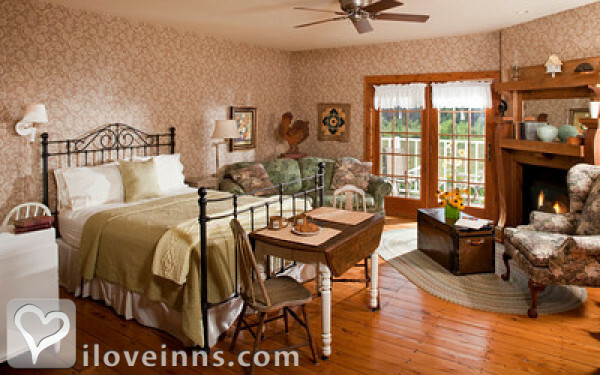 Poster and sleigh beds are topped with country comforters. 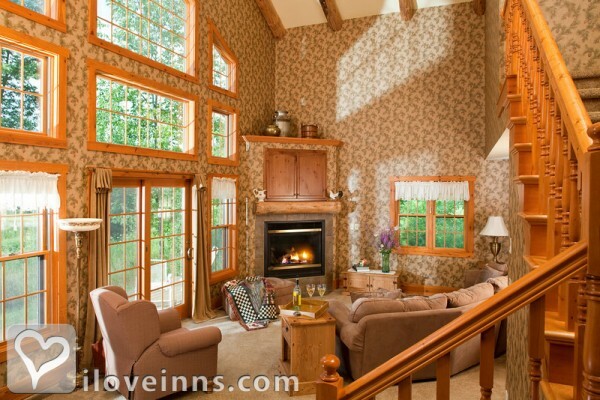 Delicate floral wallcoverings, exposed wood beams and paneled wood walls accentuate the elegant country decor. 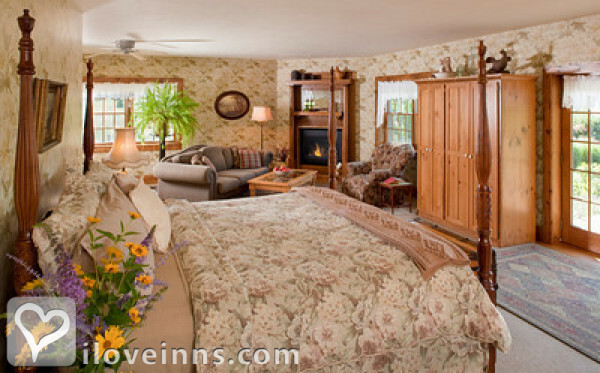 Breakfast is brought to your door, including such items as homemade muffins and fruit with fresh cream. Door County offers a multitude of attractions, including theater productions, musical festivals, watersports and hiking on trails in one of five state parks.Publicity and Awards: New York Times Travel Section, Travel & Leisure Sept. 2000.Location: Country. Payment types accepted include Discover, American Express, Master Card, Visa and cash. 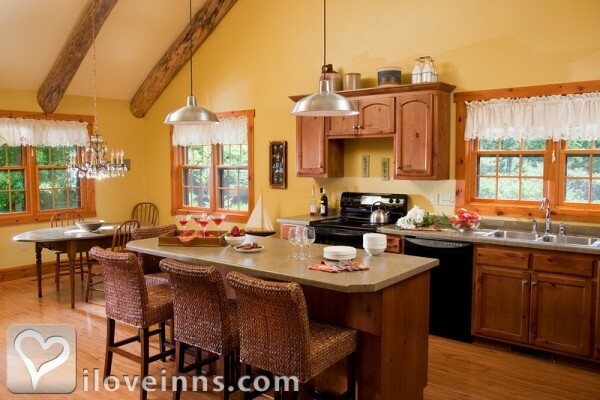 Rooms: This property has 12 total guest accommodations with private bath, 12 with fireplaces, 12 with whirlpools, 8 suites, 2 cottages and 2 cabins. The types of beds available include Queen and King. Types of meals: Early Coffee/Tea, Continental Plus Breakfast, Vegetarian Breakfast and Snacks/Refreshments. 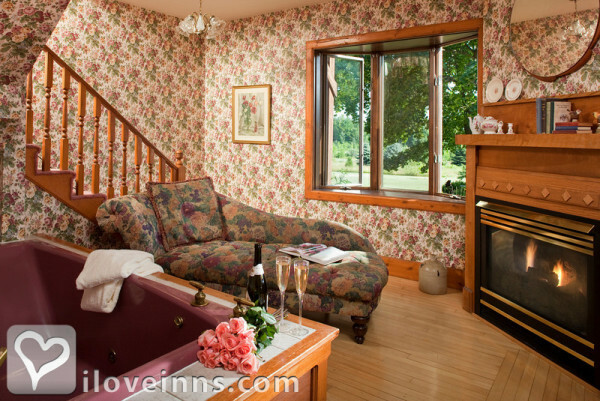 Amenities In Room: Air Conditioning, Wireless Internet Access, Refrigerator, Iron/Ironing Board, Hair Dryer, Fireplace, DVD, Coffeemaker, Cable TV, Bath Amenities, Television and Quality antique furnishings. Amenities On Site: Tesla charging station, Television, Swimming, Sauna, Pool, Bicycles, Gift Shop, DVD, Free parking on premise, Copy Machine, Handicap Access, Limited Handicap Access and Fireplace. Business Traveler Amenities: Wireless Internet Access, Iron/Ironing Board, Hair Dryer, Gym Nearby, Flexible Check in/out Times and Television. 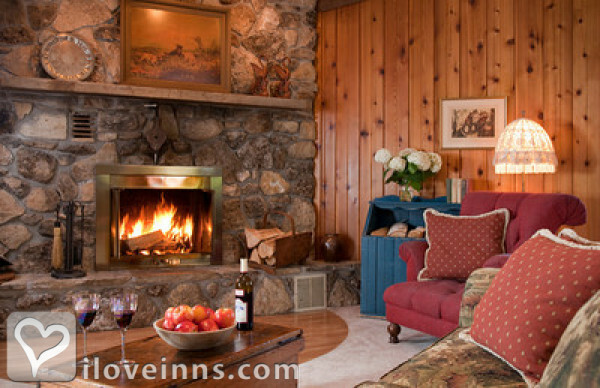 Events Hosted: Honeymoons, Romantic Getaways, Weddings and Family Reunions. Other Activities: Antiquing, Art Galleries, Beaches, Bicycling, Canoeing/Kayaking, Fishing, Golf, Hiking, Horseback Riding, Live Theater, Museums, Parks, Shopping (Local Crafts), Skiing Cross Country, Skiing Downhill, Sports Events, Major College, Tennis, Water Sports and Wineries.